The Food Alphabet and More: FREE Wings at Wingstop Bonifacio Stopover on May 20... Mark your calendars! 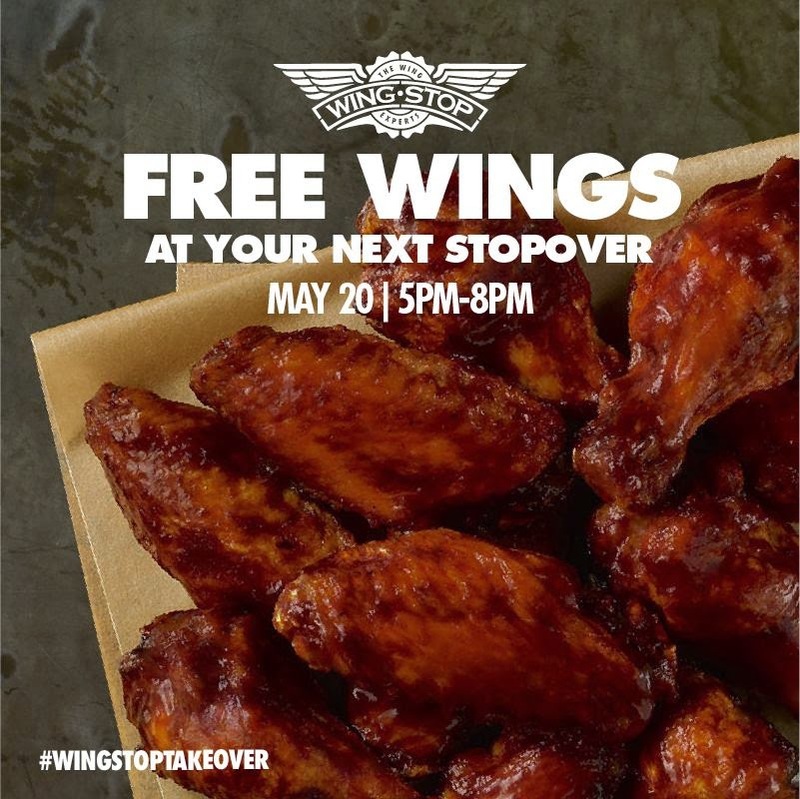 FREE Wings at Wingstop Bonifacio Stopover on May 20... Mark your calendars! WingStop is set to be your next stopover! You get Free 5 pieces Wings from Wingstop! Get them FREE between 5PM-8PM on Wednesday May 20th, at Wingstop Bonifacio Stopover, Taguig. Just be there and get your share, but only until supplies last. Call everyone! The flavor is on.